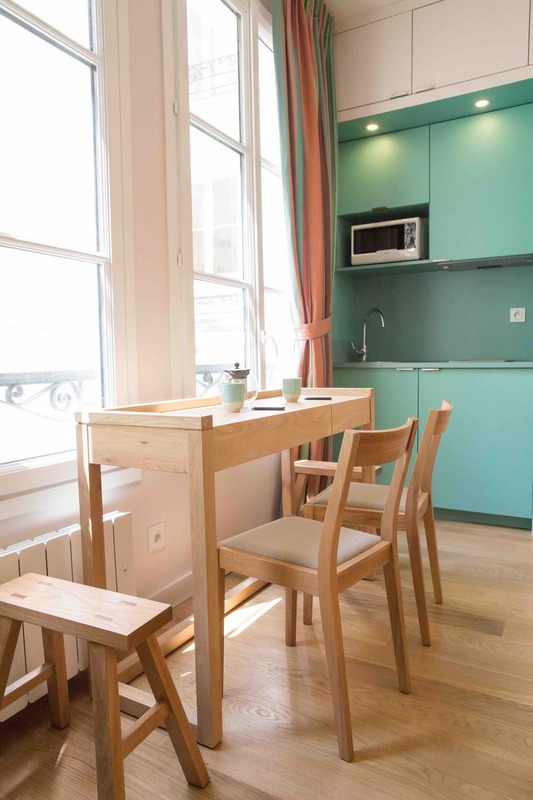 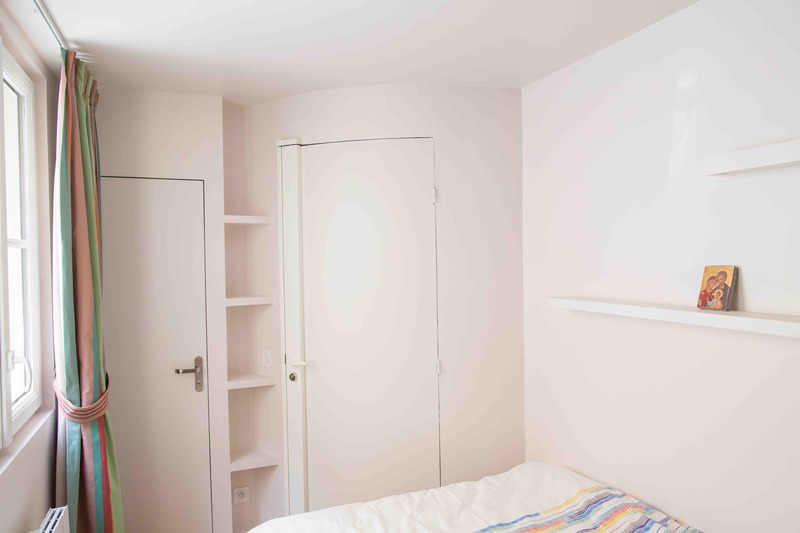 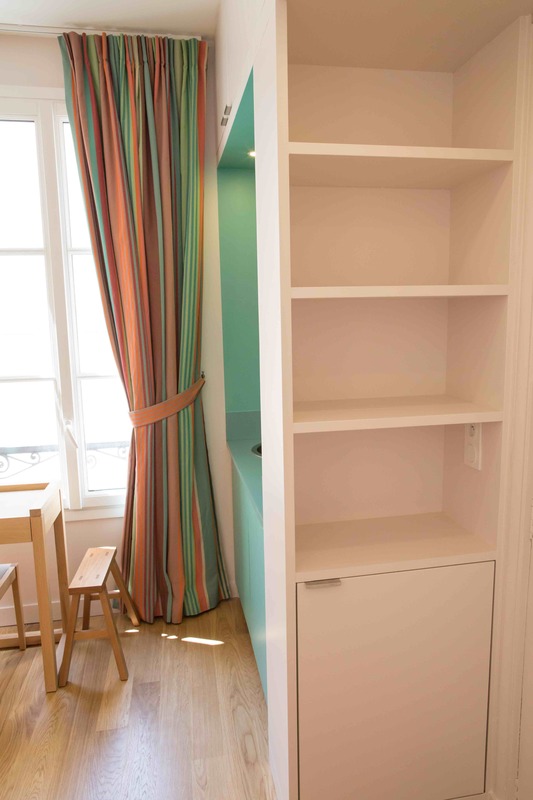 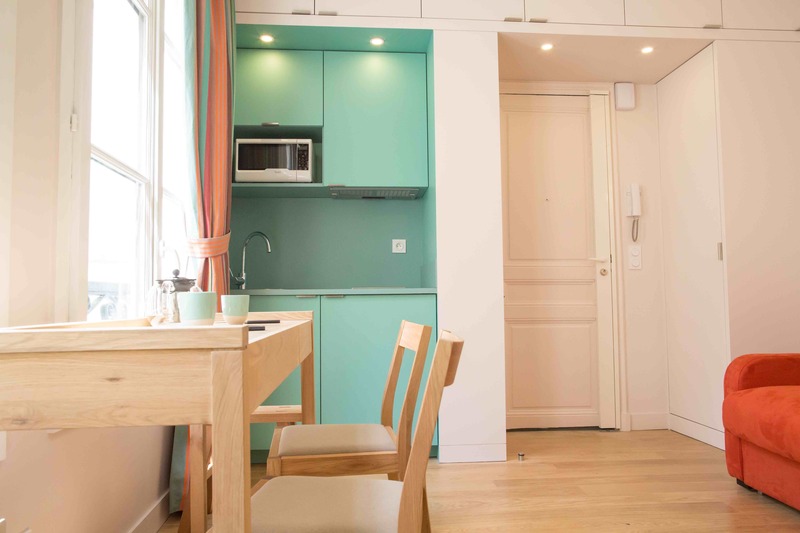 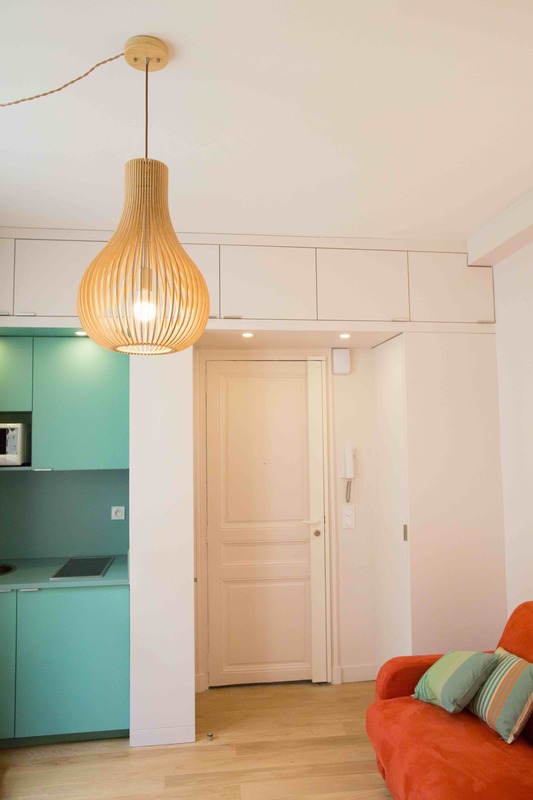 On 2 stories, this Parisian pied-à-terre is a mix between a studio and a caretaker’s lodge. 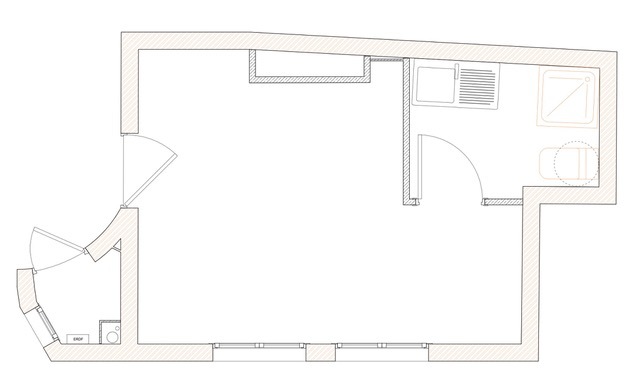 The old studio, converted into a living room, holds a small kitchen and many cupboards. 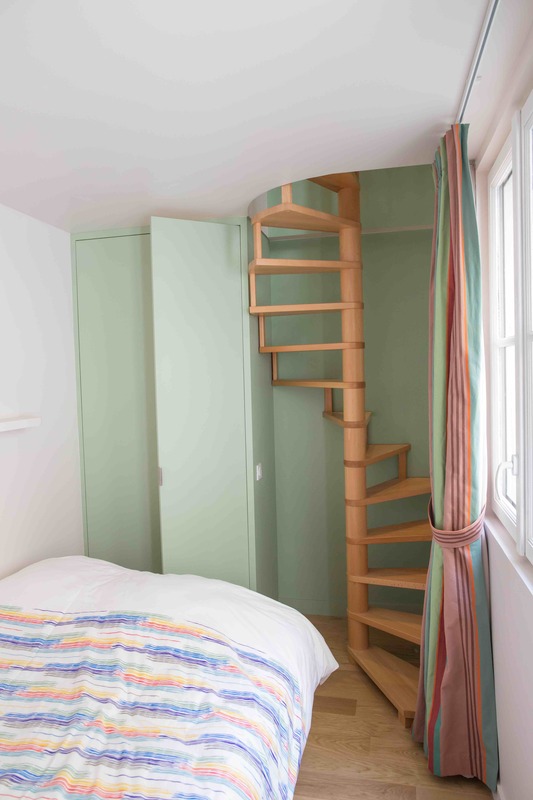 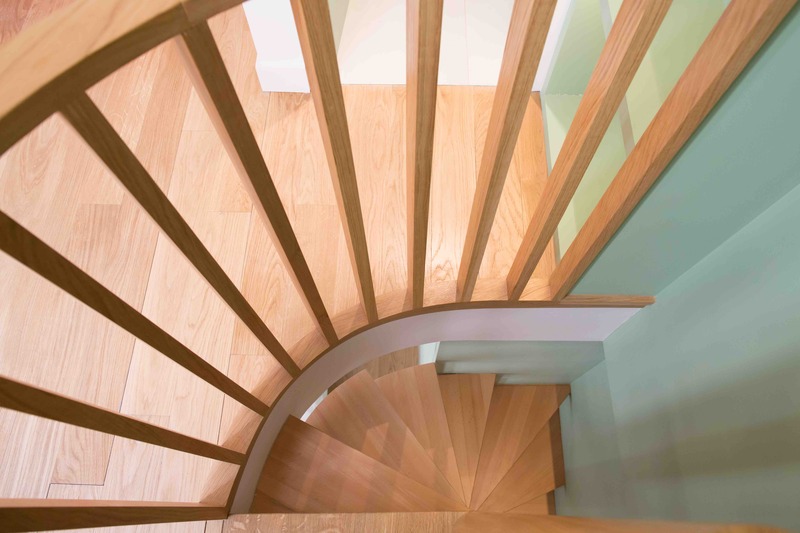 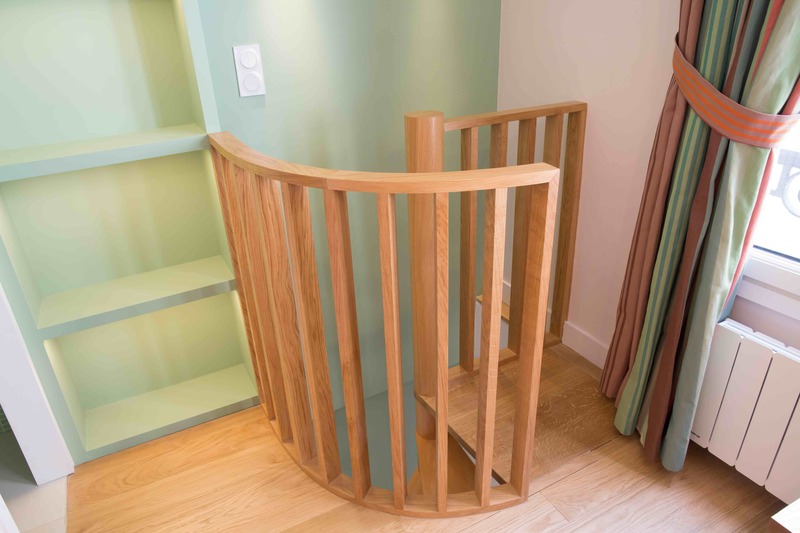 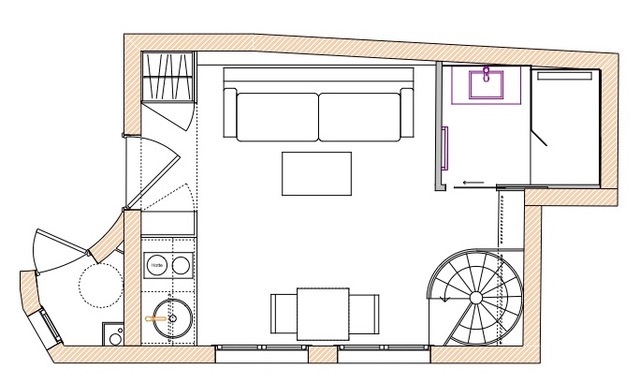 A spiral staircase leads to the bedroom located on the floor just above. 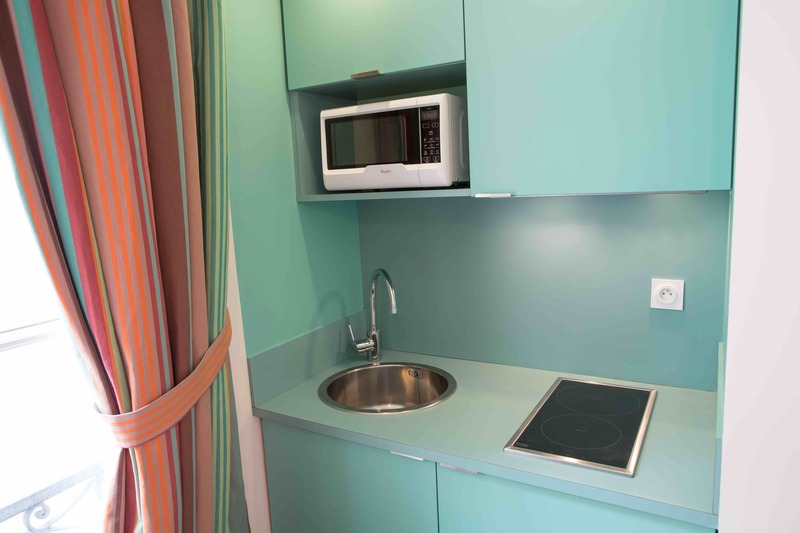 Enhanced by its green color, the kitchenette seems to fit into an existing niche. 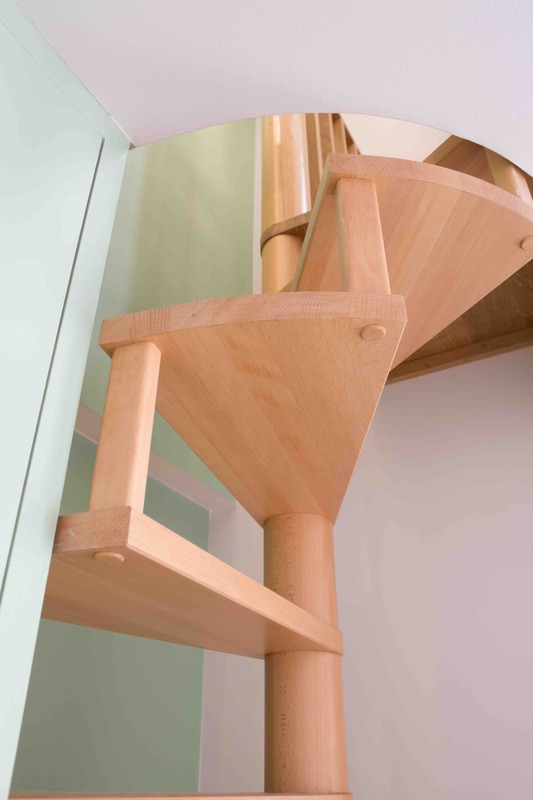 It is actually an integral part of a piece of furniture designed and made to measure which, including many storage spaces, extends from the entrance and rises to the ceiling to frame the front door. 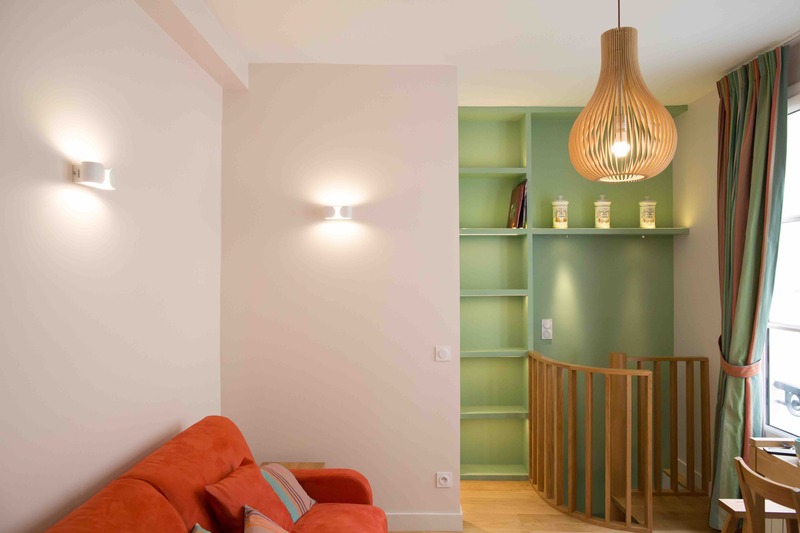 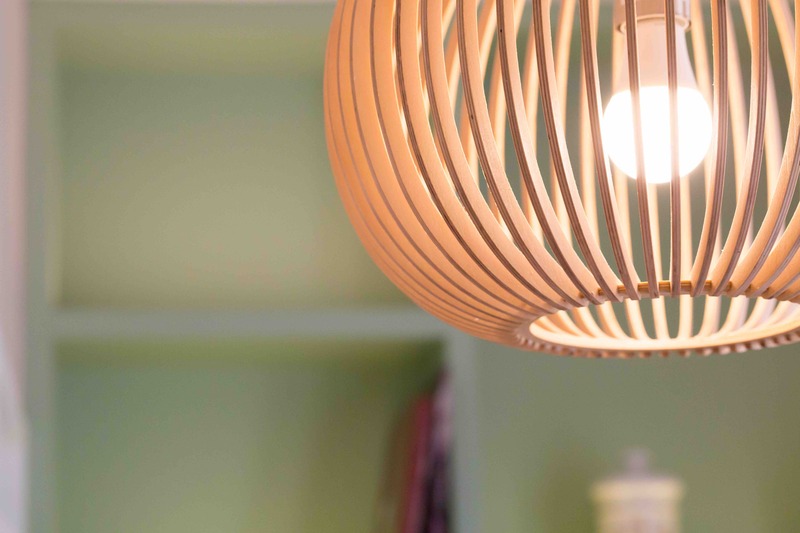 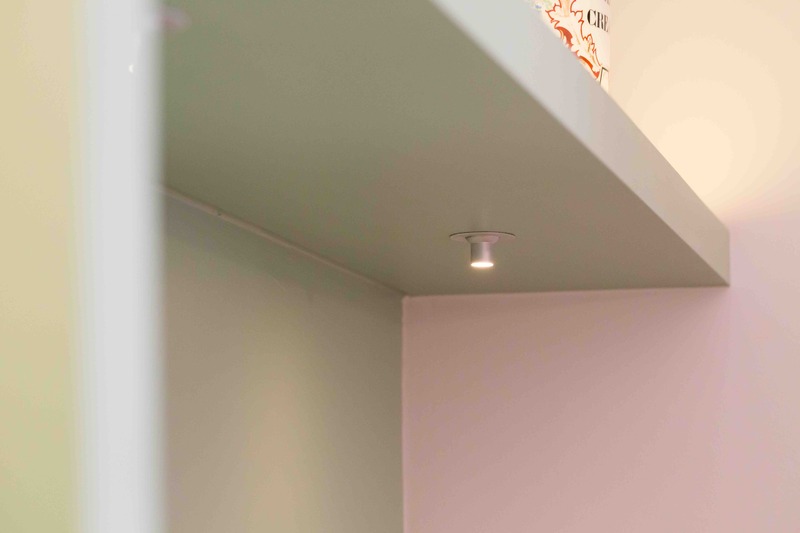 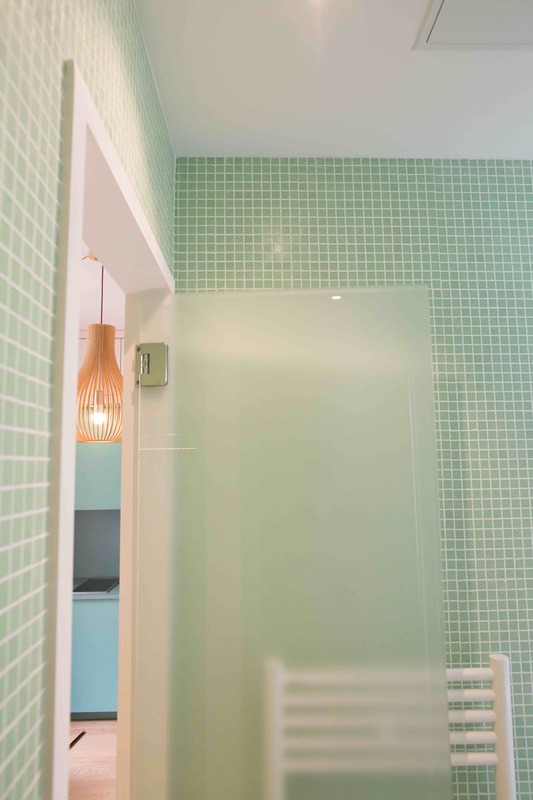 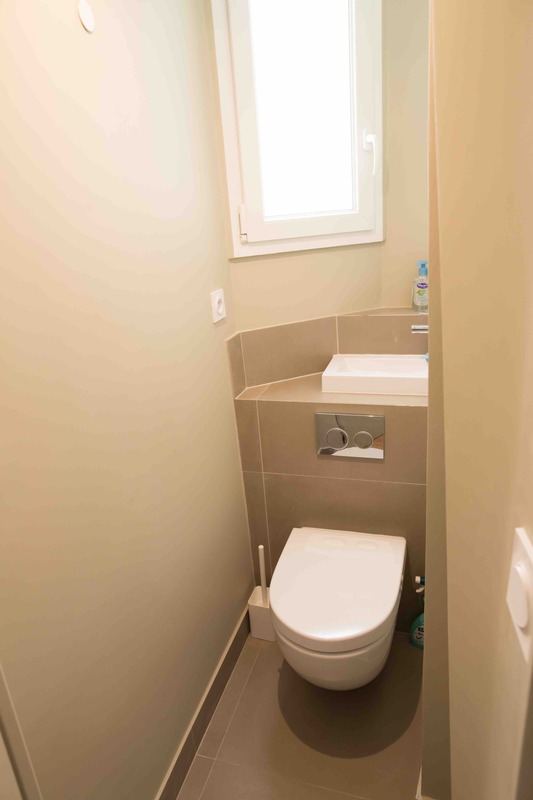 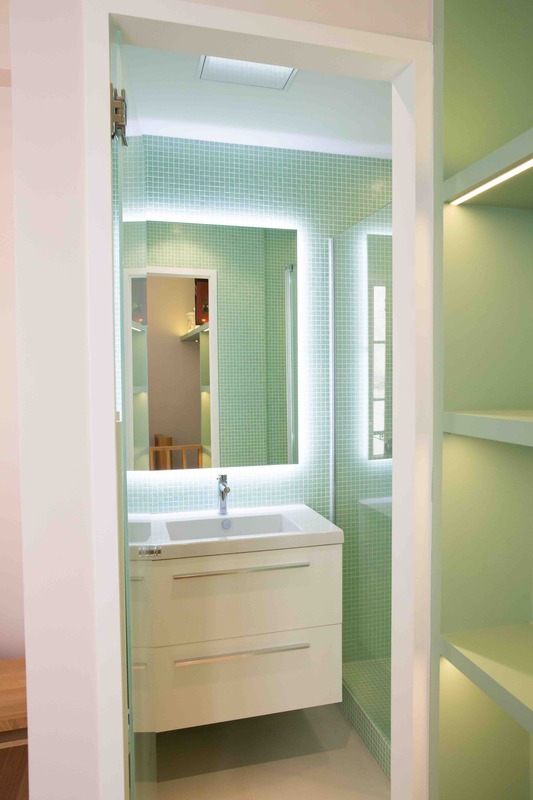 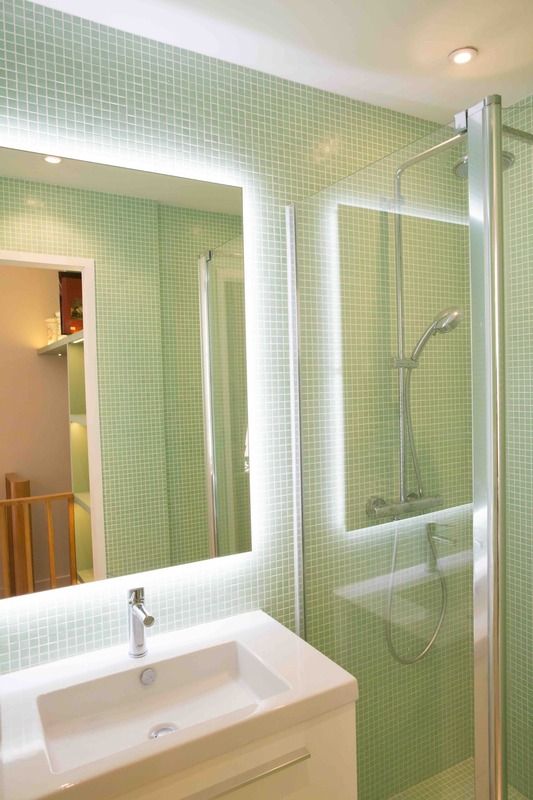 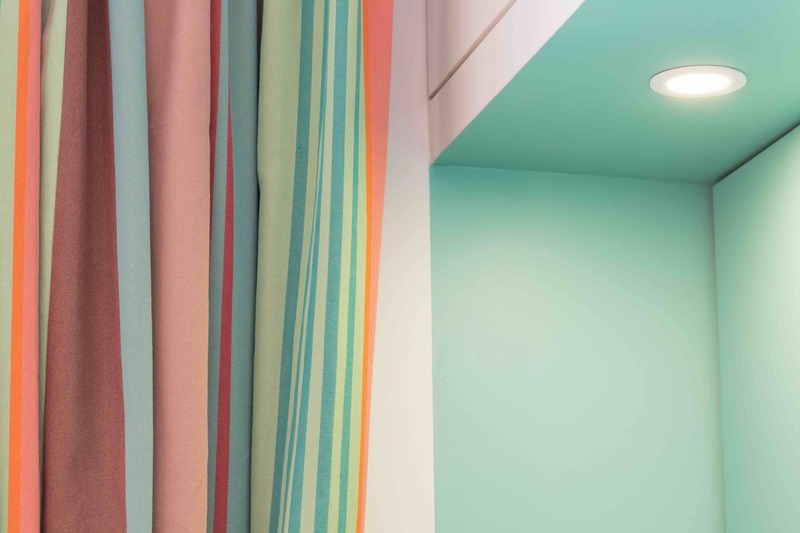 To make this small space bright and comfortable, the lights have been carefully chosen. 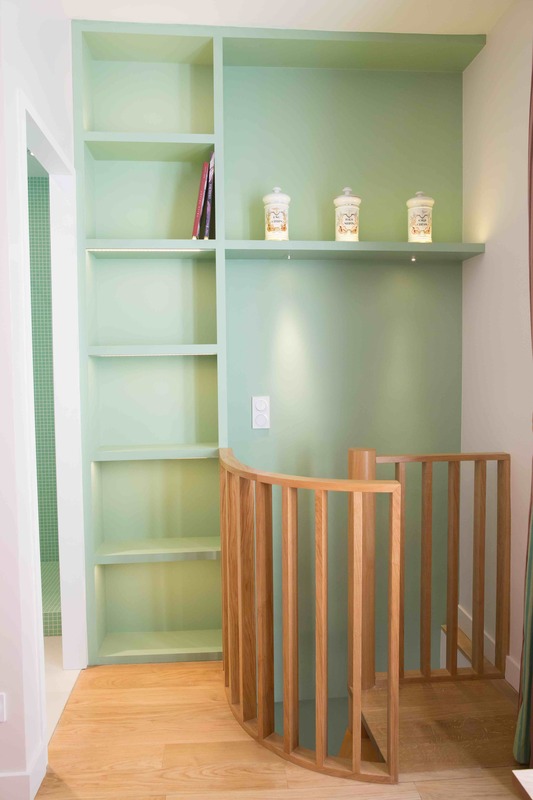 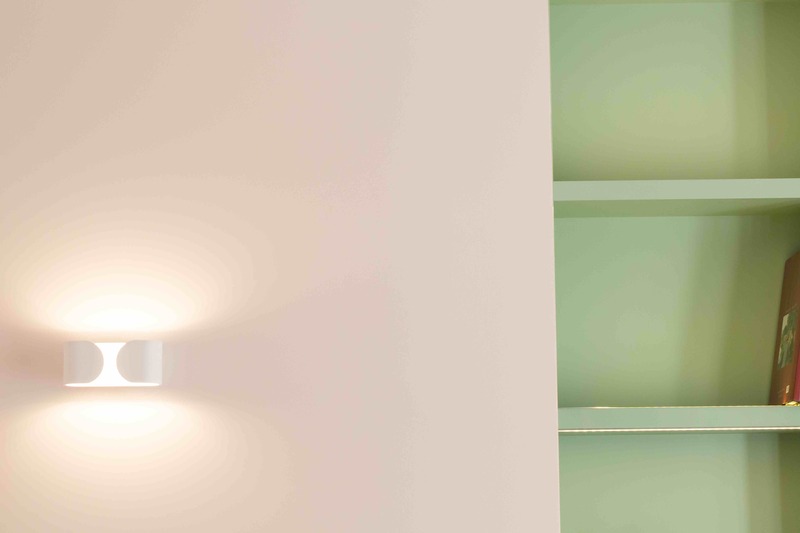 Spotlights and LED strips highlight the shelves and shine onto the stairwell, whose railing was designed to measure.